Relieve the roaring twenties in this Charleston hen party dance class and your group will soon be turned into flirty and fun flapper girls. You will learn how to sway your arms and move your feet to some of the classic Charleston steps. Dress to impress – wear, fringed flapper dresses, blacks and reds, fishnet tights, feathered head bands, beaded pearls, red lipstick. Why a Charleston Hen Party Dance Class? 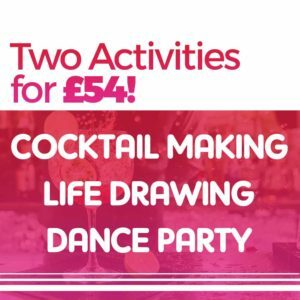 During this jazzy and energetic dance class our dance instructors will teach you a fully choreographed routine that will leave all the hens smiling. At the end of this vintage dance hen party you will put the whole routine together in a grand finale. This routine would make a great surprise for the wedding reception!